Most marketers simply don’t want to hear this. 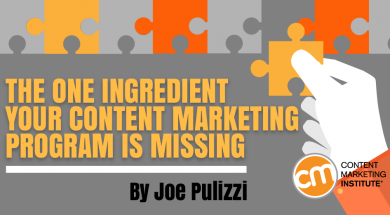 With all the exuberance around content marketing, they want to hear that if they execute against a reasonable strategy, success will come in six months or less. This is hardly ever the case. 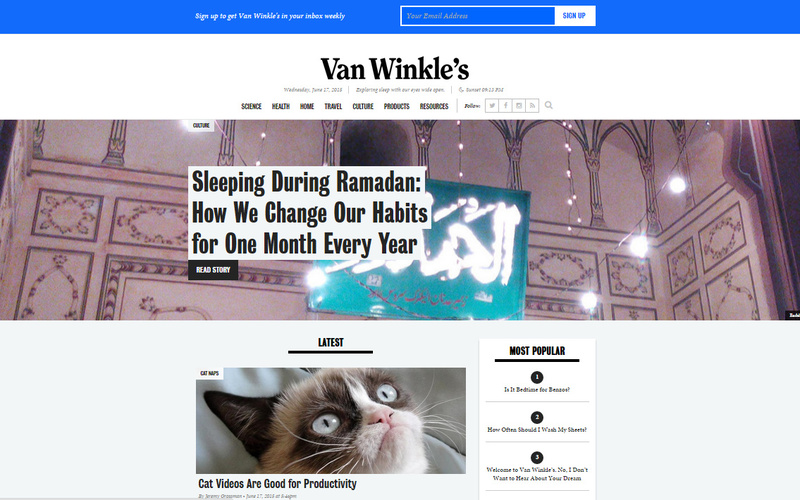 In the last couple weeks, the mattress e-commerce company Casper launched a content brand called Van Winkle’s, dedicated entirely to sleep culture. This type of move is not surprising. Content brands are the new skinny pants, with Airbnb launching Pineapple, Uber launching Momentum, and Intel launching IQ … adding to Coca-Cola’s Journey, and American Express’ Open Forum (and the list goes on). What is different about Casper’s launch is … patience. Casper co-founder Luke Sherwin told New York Business Journal, “… When you look at (start-up publications), typically they cut themselves off below the knee before they let it breathe and make money.” That means that Casper’s content site will not advertise any of Casper’s products or link to e-commerce offers of any kind. Even crazier, the site is funded outside of marketing, with the ultimate goal of creating a sustainable publication long term. Monetization comes after you build a loyal audience. Whether you agree with this strategy or not isn’t the point. The key is that Casper is giving the editorial product time to breath before mandating results. We’re seeing similar moves within our CMI advisory client base. In an interview, one enterprise told Robert Rose, CMI’s Chief Strategy Officer, that it has been given an 18-month runway before having to show a return of any kind. I know what you’re thinking … impossible (but true). Can countless content marketing successes be wrong? If you are a regular reader at CMI, you know the story. We started the CMI content marketing blog in 2007. It took three years before we successfully monetized it. Shortly thereafter, we launched the magazine Chief Content Officer, and then the Content Marketing World event. Three years. Did we do something wrong at CMI that made it take so long to show substantial results from our content marketing? About a year ago, we started interviewing some of the most successful businesses in the world that employed a content-driven approach. We talked to them for my fourth book, Content Inc. (to be released in September at Content Marketing World). These companies ONLY launched content-focused blogs, podcasts, events, or e-newsletters to start and grow a business. These companies came from a variety of industries, including food, fashion, technology, manufacturing, and more. In every case, it took more than 12 months to build a loyal audience and see return. On average, it took between 15 and 17 months until the platforms could actively show revenue gains because of the approach. The majority of these companies were start-ups or solo entrepreneurs. Other than their current content-focused approach, they had no marketing, advertising, or public relations budget. Their only choice was to be patient and slowly, over time, build a loyal audience (something Brian Clark calls a minimum viable audience [MVA]). Only when this MVA was established could success be shown. Let’s go back to the Casper scenario. It’s not just that it is taking a long-term approach to success with the platform, it isn’t even trying to monetize the platform yet. Brian’s Copyblogger Media, the holding company behind one of the fastest-growing software-as-a-service organizations, blogged for 19 months without actively trying to generate revenue. Obviously, this has worked for Brian and his growing team. Because the funding is 12 months or less, there is an immediate pressure to show return or the project could (and does) get cut. From Day One, companies are actively trying to sell against the content, be that in the form of leads or direct sales. Point 2 is critical. It was in our case. It was in Brian’s case. It will be in Casper’s case. Heck, it took TD Ameritrade two years to show the impact its magazine, thinkmoney, was making on its audience (it found active readers traded five times more than nonreaders). Giving the content marketing platform time to focus requires every second of attention to be on the needs of the audience, especially at the beginning stages – that’s what builds a loyal audience. That focus leads to success. When the majority of brands start out so focused on their own revenue goals, it’s easy to see why the patient, who are focused on audience outcomes, ultimately win. I’m not saying that you shouldn’t actively drive revenue from your platform. I don’t think it’s a black-and-white situation. But I do think that those who are patient and have a timetable longer than a year are more apt to win. Your job as a content marketer is to set reasonable expectations from the beginning. Focus on building a loyal audience. Highlight what your readers are accomplishing because of the communication you are delivering and share that with your executive team. Basically, beg, borrow, and steal until you can get to a point where you can monetize your audience. It’s not the only way, but I do believe it’s the best way to ultimately see success with your content marketing. Want to get the support you need for successful content marketing. Check out CMI’s starter kit, Mastering the Buy-in Conversation on Content Marketing for stats, tips, and essential talking points. And don’t forget to include a copy of this post.